Barenboim's interpretation (of Don Quixote), gloriously played by the orchestra of Israeli and Arab musicians he founded and has nurtured, was beautiful in its sad wit, emotional veracity and attention to detail. 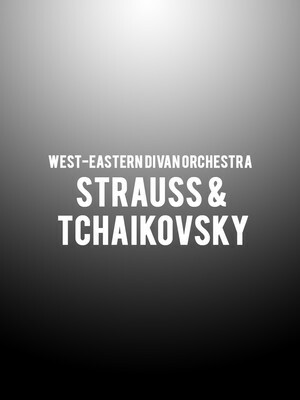 Why See West-Eastern Divan Orchestra - Strauss & Tchaikovsky? 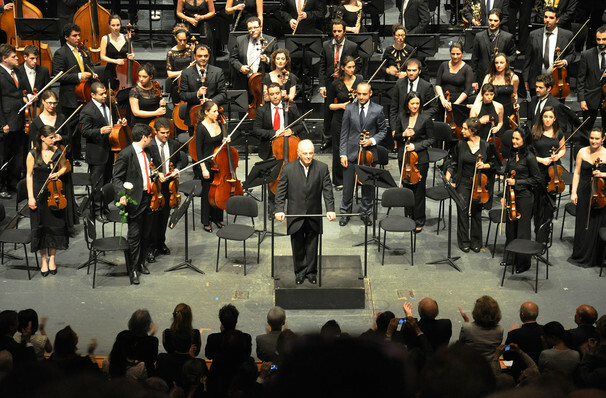 Grammy Award-winning conductor Daniel Barenboim and renowned intellectual Edward Said formed the West-Eastern Divan Orchestra in Spain 2005 with the aim of promoting peace and unity across cultures and nations. Made up of talented young musicians from across the Middle East, including Egypt, Jordan, Palestine, Israel,Syria and Iran, the ensemble comes to Los Angeles' Walt Disney Hall for one special evening's performance of Strauss and Tchaikovsky. The evening begins with a rousing rendition of Strauss' magnificent tone poem Don Quixote, inspired by Miguel de Cervantes' Spanish folk hero. Its triumphant cello solo shines a light on the orchestra's principal cellist Kian Soltani, demanding much of the instrument during complex technical and emotional flights that push both performer and instrument to its outer limits. Things come to a close with Tchaikovsky's Fifth, a truly epic symphony cherished for its bold evocations of fate and untamed fury of its soul-stirring finale. Sound good to you? Share this page on social media and let your friends know about West-Eastern Divan Orchestra - Strauss & Tchaikovsky at Walt Disney Concert Hall. Please note: The term Walt Disney Concert Hall and/or West-Eastern Divan Orchestra - Strauss & Tchaikovsky as well as all associated graphics, logos, and/or other trademarks, tradenames or copyrights are the property of the Walt Disney Concert Hall and/or West-Eastern Divan Orchestra - Strauss & Tchaikovsky and are used herein for factual descriptive purposes only. We are in no way associated with or authorized by the Walt Disney Concert Hall and/or West-Eastern Divan Orchestra - Strauss & Tchaikovsky and neither that entity nor any of its affiliates have licensed or endorsed us to sell tickets, goods and or services in conjunction with their events.